Buon giorno and welcome to Stefano’s RomeCabs, Rome’s leading company for Private Airport Transfers, Civitavecchia Port Transfers, Day Tours from Rome and Shore Excursions from Italy’s main cruise ports. In this blog we offer some helpful tips on inquiry emails to tour and transfer companies abroad as we serve a large international community of travelers from all over the world who reserve our transfers and tours. Do you need to contact a Transfer and/or Tour Provider for information and prices for services you are interested in? Below are some helpful tips to make your email inquiry best understood, and the type of details you should provide in order to receive the most complete information possible. If you are inquiring about multiple services, it helps to keep your email inquiry as concise as possible and stick with outlining the most important details. If you contact companies abroad, there is the high probability that you are dealing with locals from that country whose English is not their first language. To be best understood, use simple and straightforward words (refraining from abbreviations or slang) may prevent misunderstandings or requests for clarification. By offering the following simple basic details you will receive complete information, and expedite your inquiry as the company will not be required to follow up with questions necessary for them to provide information. You will save time of reducing unnecessary follow up emails that can take up to 24 hours between each response. Estimated amount of luggage (so a proper vehicle size would be quoted for you). Any additional information would be helpful: Such as if traveling with young children that might require a child seat or booster seat, traveling with a wheelchair that may require extra space in the luggage compartment. When contacting a company for tours, to save time and not waste time, please take a few minutes to read through the company’s website to familiarize yourself with the type of tours they offer to ensure they can meet your needs. Are you looking for a walking tour? If yes, a private or a group tour? Are you looking for a tour by car? If yes, a private or a shared tour? You can find such basic information on just about any tour provider’s website so you know you are contacting the right company for your needs. 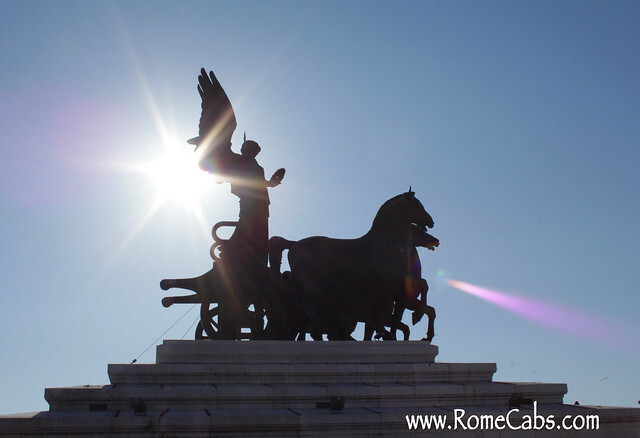 On Stefano’s RomeCabs website we provide a wealth of information from detailed transfer and tour descriptions, How To videos, links to purchase admission tickets, and more. We created our website to be as informative as possible for our clients’ most common and important questions to be answered simply by reading our website. By browsing through a company’s website you might find answers to questions you previously had, and get ideas for tours you may not have previously considered. When you learn more about tours that interest you, you can zero in on more specific information you may need so you will be provided more detailed information. Type of Tour you are interested in. You can mention the tours by name from the company’s website, or mention the sites, towns, regions you are interested in visiting. Any additional information would be helpful: Such as if traveling with young children that might require a child seat or booster seat, if any members in your party have mobility issues that would prevent them from walking or standing too long. Thank you for stopping by and visiting our Travel Blog. For more information on Rome Airport Transfers, Civitavecchia Transfers, Day Tours from Rome and Shore Excursions from Italy’s main cruise ports, please visit our website below. We look forward to welcoming you to Italy!